Passion Palm Sunday, April 14, 8:00 am & 10:30am - Our festive 54rd Anniversary! 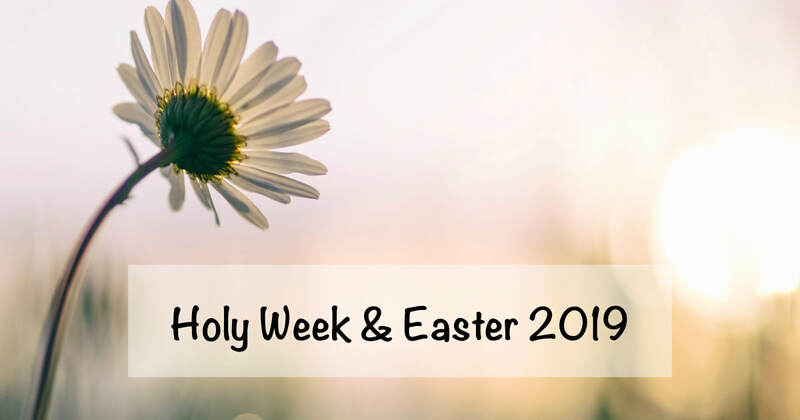 At our 10:30am Holy Communion Service, we'll commemorate Jesus' triumphal entry into Jerusalem, as well as a hear the reading of the Passion story. Additionally, join us for a celebration luncheon after the service. Holy Thursday, April 18, 6:30pm - Stories of God's Redeeming Love Dinner. Join us for this special dinner worship service. All are welcome, but reservations are required. Please sign up in the foyer, or call the church office at 215-368-0240. Easter Sunday, April 20 - Celebrate Jesus' resurrection from the tomb! 8:00am - Vigil to Proclamation Service! 9:00 - 10:00am - Easter Breakfast Buffet - all are welcome! 10:30am - Festival of the Resurrection service - In this service, we proclaim in Word and sacrament the glorious good news that Jesus is risen, he is risen indeed! Faith is a church family that is demographically balanced by age, multi-generational, and is becoming ethnically diverse in membership, as it ministers within its community. Worship is the central thing we do. Faith has two services each Sunday -- an 8:00 am spoken Eucharist and a second service at 10:30 am (9:30 am in the summer). Our tag line - Where the name of Jesus is spoken - reveals our strongly purpose-driven emphasis on personal and corporate discipleship, concentrating our spiritual growth energies toward equipping through learning and ministry through serving.